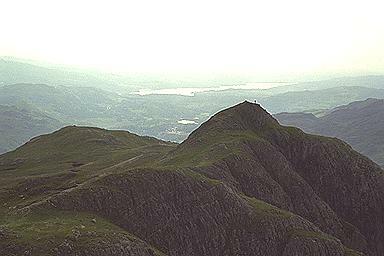 A solitary walker stands near the summit of Loft Crag. Windermere, in the background, is illuminated by the morning sun. Larger version of this picture.